6. Can Chronic Pain Be Prevented? 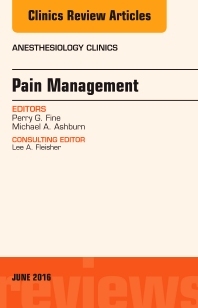 This issue of Anesthesiology Clinics focuses on Pain Management.Topics will include: The Pain Treatment Imperative: Developments in the 21st Century, Imaging Pain, The Opioid Conundrum, Advancing the Pain Agenda in the Veteran Population ,Interventional Treatments of Cancer Pain, Integrating Pain Care into the Peri-Operative Surgical Home, Pain Care in the ED, Sleep and Pain, Can Chronic Pain be Prevented?, The Use of Outcome Data to Improve Patient Outcomes, and Impact of State-based Pain Legislation on Patient Outcomes.